Our organization is an eminent name engaged in manufacturing and supplying an assortment of Food Packaging Pouches to our valuable clients. Under this range, we offer qualitative Confectionery Packaging Pouches, Biscuits Packaging Pouches, Snack Food Packaging Pouches, Tea or Coffee Packaging Pouches, Spices And Pickles Pouches and many more. In order to ensure the freshness of food, we use high grade raw material and advanced technology in the process of manufacturing. These products are appreciated for their moisture resistance, odorless and tear & wear resistance. 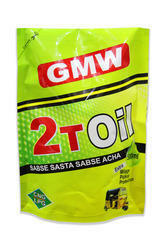 We are the manufacturers and supplier of the Cooking Oil & Ghee Packaging Material. We are the manufacturers and supplier of the Juice Packaging Materials. 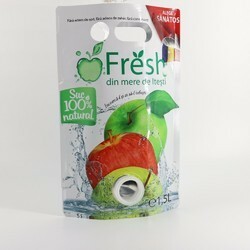 We are the manufacturers and supplier of the Mouth Freshener Packaging Materials. 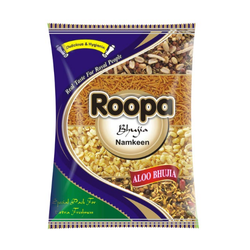 We are the manufacturers and supplier of the Khakhra Packaging Pouches. 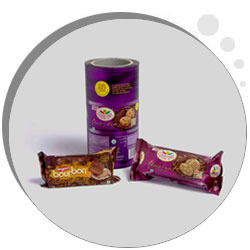 Food Packaging Material is designed to successfully meet complete packaging needs of food products. The packaging safeguard the packed food products from possibilities of tampering as well as from chemical, physical or biological contaminants. Further, we also ensure that the high packaging standards delivered also protect food items from compression, temperature as well as offer optimum barrier support against dust, moisture, oxygen, water vapor and other contaminants that can spoil the food. The use of quality packaging assists in achieving extended shelf life for products and ensures contents are maintained in clean, fresh as well as safe conditions. PET / MET-PET / POLY; PET / POLY; PET / MET BOPP; PET / MET CPP and MET PET (TWIST WARP). Snack Food Packaging Material, Confectionery Packaging Material, Biscuits Packaging Material, Frozen Food Packaging Material, Tea & Coffee Packaging Material, Spices Packaging Material, Flour Packaging Material. 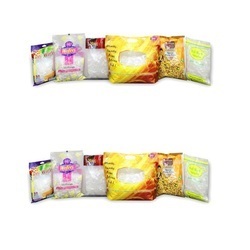 Other than these, we also offer Sea Food Packaging Material, Bulk Packaging Material, Dairy Products Packaging Material and Pet Food Packaging Material. We are the Leading Manufacturers of Namkeen / Farsan Packaging. We obligated to meet the quality standards as per the customer demand. 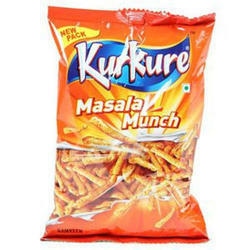 We are one of the known supplier of Kurkure Pouch to our clients. We are the Leading Manufacturer of Spices Packaging Material. We are the Manufacturers of Protein Pouches/ Supplement Packaging. We are the Manufacturers of Fish Packaging. 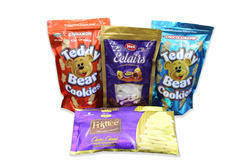 Clients can avail from us an excellent gamut of Biscuits Packaging. Highly suitable for packing raw, semi-cooked as well as cooked food. Our quality management system manages the cold chain in order to provide these packaging material tolerance of minus degree temperature in order to avoid the degradation of food products even in extreme conditions. These pouches are helpful in preserving the taste, aroma, texture, freshness and nutrition values of the food products, until they are opened.